It’s that time of year again where we look back on the previous 12 months and raise a glass to the next. 2018 has been an important one for us as we reached our 20th anniversary. It is hard for us to believe that we have been successfully running our business for over 20 years now, starting out as we did in a small back bedroom in Manchester. As with any business, we have had challenges and frustrations along the way, but we’re proud to be here still, offering the ethical public relations services that mean so much to us. Of course, the nature of our work has changed dramatically over the years and much more of what we do is now online, whether creating and writing websites, managing social media accounts or designing leaflets and promotional materials. The last 12 months have been interesting ones, as we have welcomed new clients such as Refil, a Dutch company that makes recycled plastic filament for 3D printers, and EAE Aesthetics, which offers medical and cosmetic skin treatments in the Midlands. It is also rewarding to welcome back clients such as Co-operative Futures in Gloucester, which organises the Future Co-ops conference every two years and which we are proud to support and promote. We continue to work with a number of local Shropshire-based organisations, as well as charities and credit unions in other parts of the UK. In fact, our client base continues to demonstrate that we are willing and able to work with organisations all over the UK, and beyond, to help them communicate their business. The next year looks set to be turbulent not only for businesses in the UK but for people too. We, like many others no doubt, long for the return of certainty and stability, so we can get on with our work – and lives – without unnecessary worry and stress. If ever there was a time for strong political leadership, now is the time, and we would urge politicians of all persuasions to put the country first, before their own interests. Of course, if past experience is anything to go by, we will all muddle through and the rollercoaster economy we have become used to over the last decade will continue to excite us one minute and scare us the next. Our Christmas break begins at lunchtime on Monday 24th December and our office will be closed until Wednesday 2nd January 2019, although we will of course be checking our emails, social media accounts and text messages, so do stay in touch. 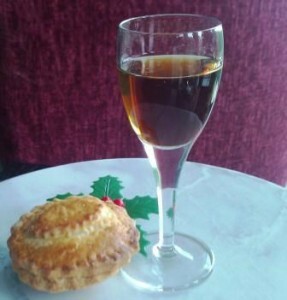 It’s now time for us to enjoy our customary mince pie and glass of sherry, so it only remains to wish all our clients, suppliers, friends and future clients Season’s Greetings and a very successful 2019. This entry was posted in Ethos public relations and tagged Christmas, Ethos public relations, Season's Greetings on December 17, 2018 by Ethos public relations news. Another year is almost over and once again we are raising a glass of sherry and tucking into a mince pie as we reflect upon the last 12 months. Since our move to a new base near Oswestry in Shropshire almost two years ago, Ethos public relations is pleased to be working with a number of local businesses and charities, as well as continuing to support clients across the UK. The nature of public relations has changed significantly over the last few years and we have adapted to meet these challenges, with much more of our focus now on website management and social media. Of course it is still nice to do traditional media relations and, even today, it is rewarding to see a press release we have written in the newspaper, or listening to an interview we have set up on the radio. Thank you to all our clients for supporting us in 2016 and we look forward to working with you in the New Year. We will be closed over the Christmas break from lunchtime on Friday 23rd December until Tuesday 3rd January 2017, but we will of course be checking our emails, social media accounts and text messages, so do stay in touch. Season’s Greetings and a happy 2017! This entry was posted in Ethos public relations, News and tagged Christmas, Ethos public relations, Season's Greetings on December 19, 2016 by Ethos public relations news. 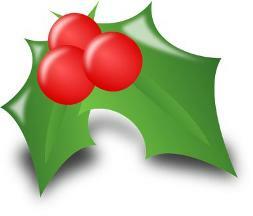 We will be contactable throughout the Christmas and New Year period, so do get in touch with any media requests. Can we thank you all for your support over the past 12 months, and we look forward to working with many of you during 2014. If there are any communications projects, such as videos, media relations or websites, that you would like our input on, please do get in touch in the New Year for an informal chat about how we can help. You can see some of the services we offer at Ethos public relations by clicking this link. We are already looking forward to working on a number of interesting and exciting new projects next year as well as helping to promote the work of existing clients. 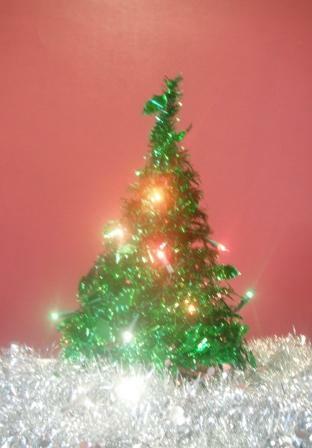 This entry was posted in Ethos public relations and tagged Christmas, Ethos public relations, Season's Greetings on December 23, 2013 by Ethos public relations news.